2013-05-14 NEW • Distribution Release: Manjaro Linux 0.8.5.2 "KDE", "Cinnamon", "MATE"
Rate this project Yusuf Faruk Doğan has announced the release of three community editions of the Arch-based Manjaro Linux 0.8.5.2 - with KDE, Cinnamon and MATE desktops: "We are happy to announce three new Manjaro Community Editions featuring Mate 1.6, Cinnamon 1.7, Gnome 3.8 and KDE 4.10.2. 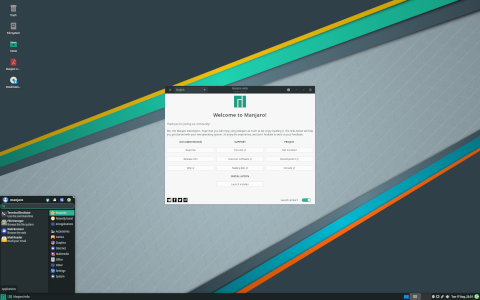 “Community Editions” of Manjaro Linux are released as bonus flavours in addition to those officially supported and maintained by the Manjaro Team, provided that the time and resources necessary are available to do so. We hope you like these releases." 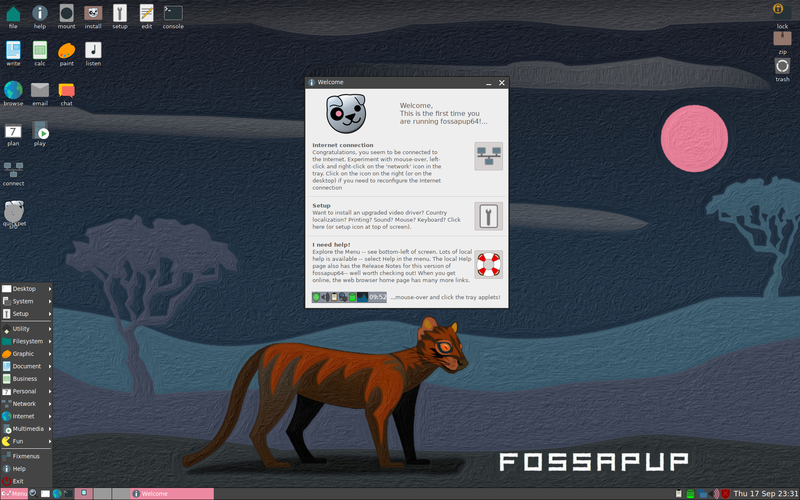 The release announcement includes a detailed list of changes and new features for each of the three editions, as well as screenshots and notes on the graphical system installer and the distribution's unique package management utility. Quick download links: manjaro-kde-0.8.5.2-x86_64.iso (2,128MB, SHA1), manjaro-cinnamon-0.8.5.2-x86_64.iso (1,524MB, SHA1), manjaro-mate-0.8.5.2-x86_64.iso (1,216MB, SHA1).